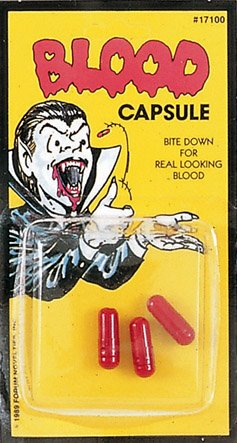 Blood Capsules. Pack of 3. Place capsule between your teeth. Harmless red coloring, will mix in your mouth and appear like real blood! Great addition to your vampire or monster Halloween costume. Perfect accessory for theatrical fights, cuts and bruises.